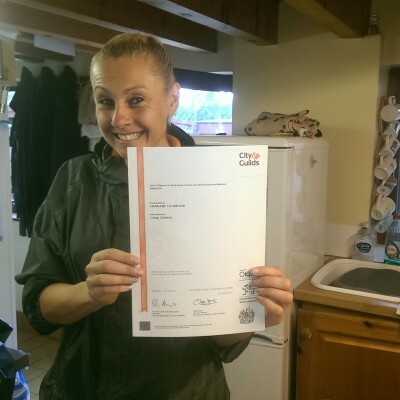 Charlene has been presented with her City&Guilds – Level 2 – Diploma in Work Based Animal Care. This 12 month course, run in partnership with Coleg Cambria, has seen Charlene pass modules in 15 different sectors that relate directly to her role here at Ewloe Boarding Kennels, including ‘Maintain the cleanliness and bio security of he animal care working environment’ and ‘Promote and maintain the health and well being of animals’. A fantastic achievement and another example of the dedication that this team has to making sure every animal they look after receives the best possible care.